Categories Include: For Sale, Help Wanted, For Rent, Service & Repair and More! Find the Contact Information for Local Businesses and Community Organizations! 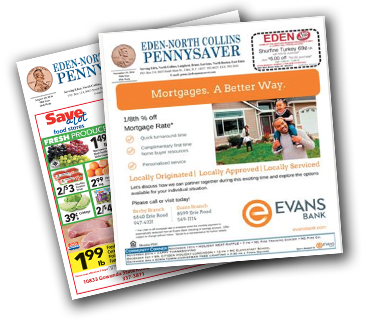 Is there a piece of news that you would like to see printed in the Pennysaver? Submit it here!